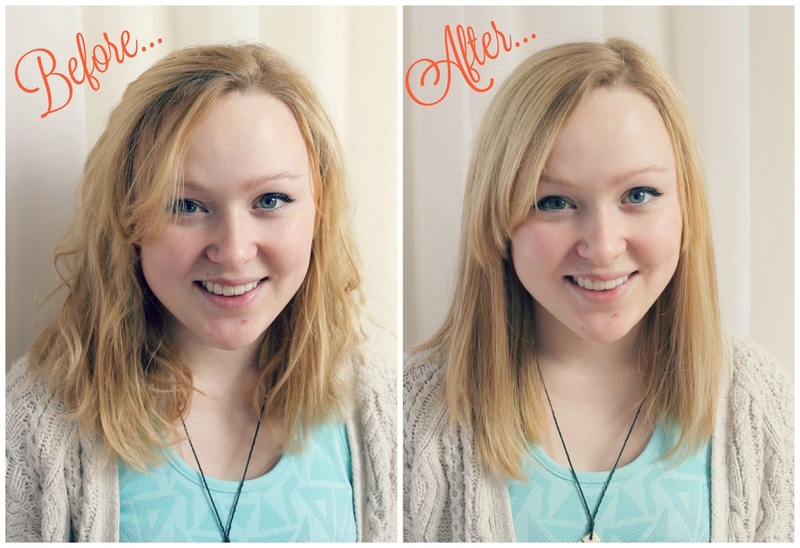 Irresistible Me Diamond Hair Styler~ Review! Firstly, the delivery of these was so speedy. I received them tracked within a week of placing the order, and they were carefully packaged to make sure they arrived safely. Blair who contacted me was really helpful and friendly too- thumbs up for service! I loved the packaging, it was a sleek black with silver foil accents, providing great contrast to the bright red styling iron! The iron is easy to use, as it is lightweight enough for travel too. One point to mention here though is that is has American 2 pin plug, so if you're in the UK like me then you'll need to buy an adaptor. I bought one in my local discount shop for £2.99 so that's not too much of an issue, it's just worth noting as I don't think it is mentioned on the website. I used the 180 Celsius setting, however, there are two buttons inside to control temperature, up to 230C. There is a light panel on the outside to show you how hot the iron is, and I found it heats up quicker than Rimmel ones I've had in the past. I think it only took about 30 seconds to warm up- definitely under a minute. It was very sleek to use and had a great impact after even one run over the hair. Because my hair is naturally quite straight, I left it in a bun for a while to see just how good the effect was. As you can see, there's a big difference and it straightened my hair really well- all within a few minutes. The ceramic plates feature crushed diamonds and tourmaline, which are supposed to help lock in natural oils and moisture, therefore the iron doesn't damage the hair like other irons. I haven't been using this for long enough yet to see whether this is true long term, however my hair did feel very silky and sleek afterwards! So, overall I think that this Diamond Hair Styler is a really useful everyday tool, it's easy to use and feels very luxurious in it's packaging and different features. Have you used any Irresistible Me products before? What are your favourite hair styling irons?